The feel of putting on a pair of golf shoes has changed over the years. Golfers in their 30’s or older can remember the days of the old steel spike, where every step you would take gave you the sensation like you had nails on your feet. Today, the golf shoe can be more comfortable, even lighter, than most basketball or training shoes. After all, shouldn’t golf shoes feel comfortable? Afterall, golfers are spending more than four or five hours in them, walking around and constantly being on your feet, We are even asked to make an athletic move with the golf club, all while attempting keep your balance during the golf swing. 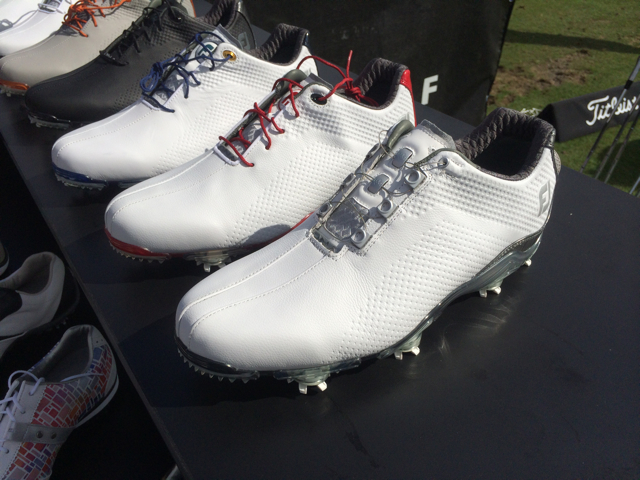 When it comes to the golf show, I’ve been a loyal FootJoy customer my whole career. I recently purchased a set of the above shown FootJoy DNA golf shoes and they are amazingly comfortable, so comfortable they feel like they are molded to your feet. There are some drawbacks however.